If you haven’t had the chance to print out the Muir Glen coupon yet, we have two great deals to grab using the coupon. 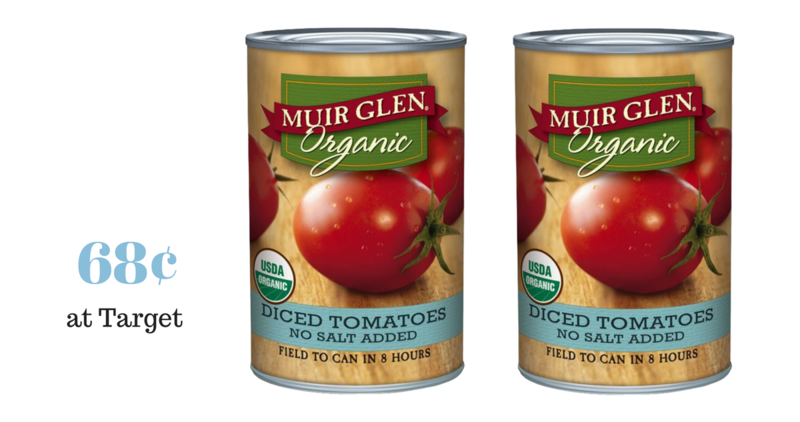 For the best deal, head over to Target and match in a Target Cartwheel with the printable coupon to get Muir Glen tomatoes for for 68¢! You can also get the larger 28 oz can at Publix for $1.50 or almost half off the regular price.